Matthew started diving on a whim in 1999, when he found himself on a trip to a tropical destination. 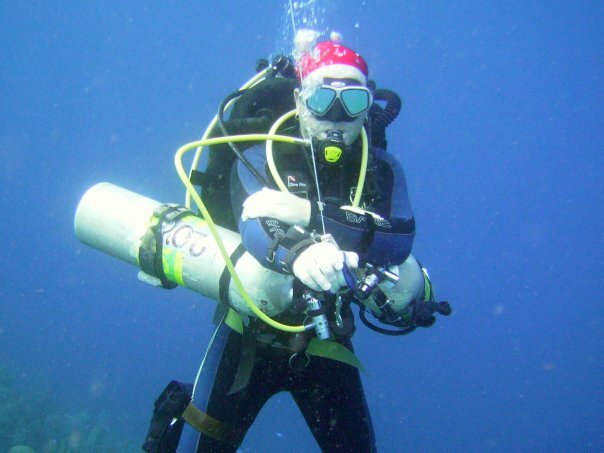 Having never considered the possibility of scuba, but being offered the opportunity to participate in a discover scuba program, Matthew jumped at the chance. It was a life-altering experience. As the years passed, and the dive trips got longer, the chance to become a PADI Divemaster at a caribbean dive resort presented itself. Building on that opportunity and experience, Matthew has been working his way through the PADI instructor system. Today, Matthew is a PADI Course Director. He is also a specialty instructor trainer in a wide array of diving interests. After having spent several years teaching full time in Mexico, Thailand and Canada, he is adept at diving and teaching in dramatically contrasting environments. Whether introducing a brand new diver to their first underwater experience in Cozumel or helping an Assistant Instructor candidate master the challenges of teaching in a cold lake in northern Alberta, the rewards that come from helping people to succeed in these environments are what always keep it fresh. Aside from teaching recreational and instructor level scuba courses, Matthew enjoys teaching Emergency First Response programs. Giving divers and non-divers alike the skills to act in case of an emergency is very rewarding. And it’s not just all about being an instructor. Part of the fun for Matthew is the continuing journey as a student and fun diver. Most recently, that has resulted in Matthew’s interest in technical diving, beginning with tec deep courses, and now sidemount.